I have just received a newsletter from Dr Mark Sircus on one of the most important subjects of the day about surviving nuclear toxicity. I am quoting the article here in full since I believe it is so important that cutting it would mean omitting vital pieces of information. “What does radiation do to us? It burns the cells, kind of like burning down a house. It is well known that radiation burns our cells by creating too much free radical damage. Now, of course, this is like talking Greek to medical officials and professors because if they knew this they would be on the bullhorn telling the public what to do to minimize free radical damage. This is important information because just about everyone in the northern hemisphere, within a short period of time, will have to live with a gentle radioactive mist all around them and their children. We always have been surrounded by radiation but increasingly so in recent decades because of all the nuclear tests and accidents and use of nuclear materials in warfare (God forbid they are using depleted uranium weapons in Libya) and, of course, the wireless revolution. But now comes our worst nuclear nightmare, an out-of-control nuclear station belching out plutonium and other very nasty nuclear materials. Imagine it as a mist for that is what it is. If you can conceive of Geiger counters around the world picking this up you know it’s raining nuclear particles just about everywhere. Within the space of only two weeks, radiation is being reported in a huge area. Okay, it’s only a light nuclear rain so far but who wants to go out even in a mild nuclear rain without a nuclear umbrella? But for those poor unfortunate souls who live and work within 50 miles of Fukushima Daiichi nuclear plant, it’s a downpour, and perhaps ‘only’ a strong rain as far away as Tokyo. Now we understand why they tell people to stay indoors, the nuclear density (rain) in an area will only increase the longer the source continues to emit radioactive particles. Staying indoors only affords partial protection for the contamination seeps through in the air, water and food that we breathe and eventually eat and drink. They can only say that this amount of initial radiation is safe because biological entities do have built-in systems to handle very unsafe radioactive particles. Low levels of radiation speak about the quantity of nuclear materials, to their density, but not to the capacity of each nuclear particle to wreak havoc inside our cells by creating flurries of free radicals. Free radicals are tremendously volatile molecules. When they are in the company of oxygen, they merge haphazardly with unsaturated fats to form peroxides. These peroxides cause grave, irreversible destruction to cells and the protective membrane linings that surround them. When escalating armies of free radicals overwhelm a person’s antioxidant defenses their health begins to burn down. With the unfolding of the potential nuclear disaster in Japan, and the consequent potential for weather-carried radiation exposure in North America and the rest of the northern hemisphere, many people are asking what they can do to protect themselves from radiation damage. While most people are aware of the use of iodine supplementation to protect the thyroid from radioactive iodine fallout, most of the actual damage from radiation is due to runaway oxidative stress and consequent DNA damage. This oxidative damage is due to a combination of a high production of reactive oxygen species (ROS) from the radiation exposure while the radiation simultaneously causes a depression of the natural antioxidant systems (mostly the glutathione system and superoxide dismutase). Surviving nuclear toxicity is similar to the process of surviving heavy metals and chemical toxicity though the medical situation is worsened dramatically when even super low doses of high energy radiation enters the body. No one wants to be caught with even one particle of plutonium lodged in their lungs for there is no treatment that can guarantee it can reverse, stop, or even diminish the damage. If you were to eat some plutonium-contaminated food you might have a chance of increasing the odds it will come out the other end if you were to partake of a naturopathic intestinal cleaning process that uses clay or some ingenious formulas that maximize the effect. Once in the tissues it’s another level of cellular warfare that goes on between the radioactive particle, heavy metal or nasty toxic chemical molecules and our tissues and cells. Once any of these toxic insults penetrates into the cells themselves there is an array of defenses waiting to defend and protect. Obviously our cells need defenses in depth, meaning it’s one thing to protect the cell membranes and cytoplasm from oxidative damage and another thing to protect the nucleus and the DNA that resides there. This suit is not the answer to radiation exposure though of course such a suit would come in handy if you actually had to work in a heavily exposed area. For life to remain relatively pleasant here on planet earth, we and our corrupted medical officials must become familiar with the entire system in the body that protects us from oxidative damage. There is an antioxidant system that acts at the cellular level to protect sensitive cellular targets right down to the nuclear DNA level. It is not just the very popular enzyme glutathione but an array of enzymes and detoxification systems that work together to save our cells of oxidative stress when attacked by radiation, heavy metals and toxic chemicals. It is important to be clear that cellular antioxidants, detoxification/chemoprotection reactions and protein repair processes are all part of one integrated system and we need to support the whole system, not just one part of it to be really effective in dealing with radiation exposure. Contemporary medicine recognizes few therapies for radiation injuries. Good supportive care, of course, is recommended—lots of fluids, infusions of blood-clotting platelets, and infection-fighting antibiotics is thought to be the key for acute radiation syndrome, an overall poisoning that can begin causing symptoms days to weeks after high exposure. To guard against longer-term harm caused by low dosages, iodine can protect against future thyroid cancer by shielding the thyroid from only one type of fallout, radioactive iodine. Medical physicist David Brenner, director of Columbia’s Center for Radiological Research, thinks that, “Before you can start to treat people, you need to know what radiation doses they got. If you take a guess and get it wrong, you might do more harm than good.” This is of course more allopathic hogwash. We do not have to wait and depend on medical testing when we know that we are being subjected to increasing levels of low-level radiation. Cells in the bone marrow and GI tract are extremely vulnerable to radiation so they need to be protected. “They overreact to what should be reparable damage and commit cellular suicide,” says Dr. Andrei Gudkov of the Roswell Park Cancer Institute. So we must create detoxification pathways that will allow the body to remove radioactive particles as quickly as possible. The U.S. Environmental Protection Agency says internal exposure to plutonium “is an extremely serious health hazard” as it stays in the body for decades, exposing organs and tissue to radiation and increasing the risk of cancer. Increasing the risk of cancer does not quite cover the seriousness of plutonium contamination. It is simply death squared. So we have to come to a whole new understanding of all this in order to come to grips with what we have to do in the face of rising radiation levels coming from a nuclear plant that was under-designed to withstand the predictable tidal wave that came following an earthquake. Human ignorance coupled with arrogance ruled once again to create a nuclear disaster of immeasurable proportions, since we have no assurances that they will ever bring this nuclear site under control. Fortunately for the average person learning exactly what to do is reasonably easy and even easier to put into action. Anyone can learn how to set up a nuclear field hospital in their home and start treating themselves and their loved ones effectively while doctors and their superiors sit it out helplessly with their own families. The officials and established institutions of the world would rather go down with the ship than to admit their ignorance and refusal to learn anything new. Sorry for them, but we cannot wait for them to finally take the necessary steps to become aware. We live in a dangerous world of innumerous chemical types of toxins and incredible exposure to heavy metals, especially mercury, and now to increasing radiation. To get a bird’s eye view of the hurricanes of toxicity we face on the parts per billion and million level it is helpful to know that air pollution in major cities is seen as being just as dangerous to health as the radiation exposure suffered by survivors of the 1986 Chernobyl disaster. 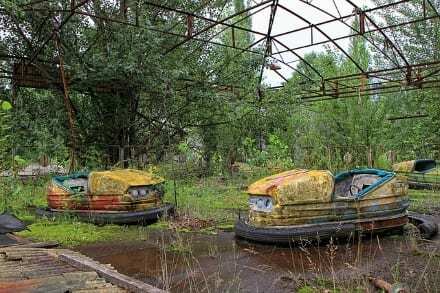 A 2007 study suggests high levels of urban air pollution cut short life expectancy more than the radiation exposure of emergency workers who were sent into the 19-mile exclusion zone around Chernobyl straight after the accident. This means we do not have to be given any special permission to start treating ourselves, especially if we live in an urban center. In the world that is quickly arriving, only the intelligent and adaptable will survive. The ignorant and the stubborn and the human ostriches with their heads in the sand will perish and there is nothing we can do about that just like there is almost nothing they will be able to do to bring this nuclear nightmare under control. Survival Medicine for the 21st Century, which I published four years ago, is in part a textbook in toxicology of low-level chronic exposure. There is so much necessary information to incorporate to get a full medical picture of the situation that we all jointly face. I intend to pull from this compendium of mine all the pertinent information and put it out in this urgent book Radiation Toxicity Syndrome that zooms in on the rising radioactive threat to our heath. We will put Radiation Toxicity Syndrome out at a greatly reduced price to facilitate wide distribution. 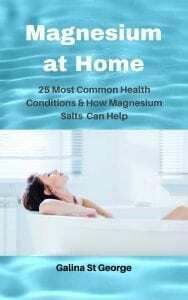 Special Note: Just about everyone who is writing about protocols for radiation toxicity is forgetting about the importance of magnesium salts. 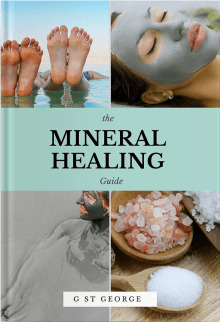 Magnesium is a crucial factor in the natural self-cleansing and detoxification responses of the body. It stimulates the sodium-potassium pump on the cell wall and this initiates the cleansing process in part because the sodium-potassium-ATPase pump regulates intracellular and extracellular potassium levels. Cell membranes contain a sodium/potassium ATPase, a protein that uses the energy of ATP to pump sodium ions out of the cell, and potassium ions into the cell. The pump works all of the time, like a bilge pump in a leaky boat, pumping K+ and Na+ in and out, respectively. This is of course just the tip of the iceberg and I will write a full explanation and instructions for use in the next few days. 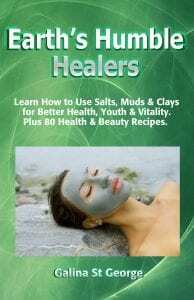 Meanwhile load up on magnesium oil, magnesium bath flakes, Dead Sea salt and Epsom Salts“. ZEOLITE, CLAYS & HEAVY METAL DETOXI would like to add to the article that zeolite clinoptilolite powder (not liquid zeolite) was used with great results in the Chernobyl disaster – both given to people in specially made galettes, as well as in the powder form, mixed with water. 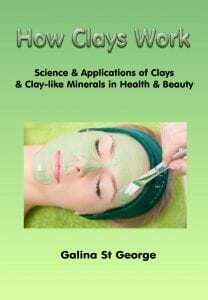 Zeolite and clays are not only wonderful sorbents, but bind heavy metals through the cation exchange mechanism which is one of their main properties making these substances so important in heavy metal detoxification. They work both through the skin (in a bath, foot bath, compress, or wrap for example), and even better when taken internally, since as Dr Sircus mentions, the gastrointestinal tract is one of the first victims of radioactive damage to the body.